Are you a big fan of Rodeos? 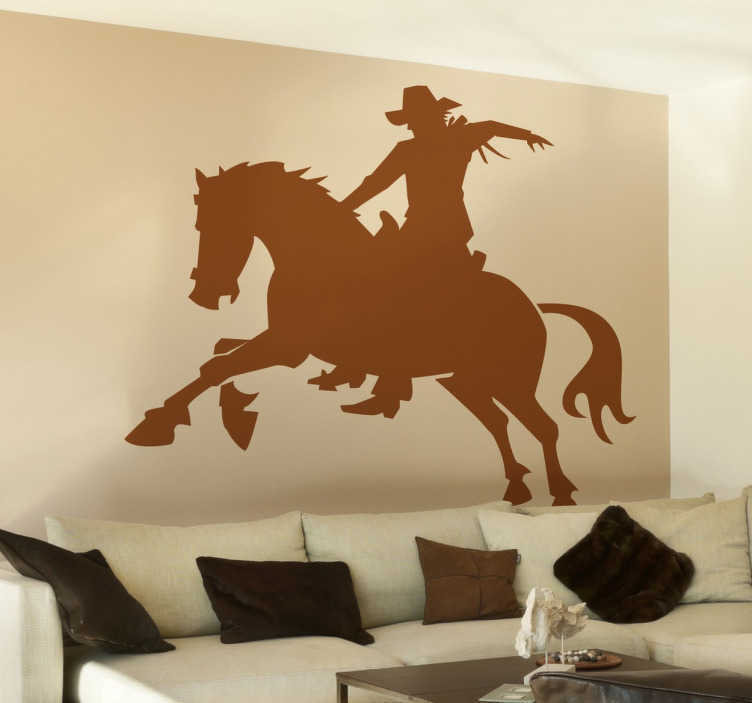 This magnificent cowboy decal is brilliant for those that love Rodeo. A splendid horse wall art sticker! You can now customise your walls at home or any smooth surface with this fun and original design. Decorate your own place and enjoy the pleasant atmosphere that this decla provides. You can also personalise this sticker! This cowboy design must be applied on smooth surfaces. It is available in over 50 different colours and various sizes. Easy to apply and remove.